ARUSHA – More than 2,000 Maasai women are taking a bold political stand in a move aimed at protecting community land rights. 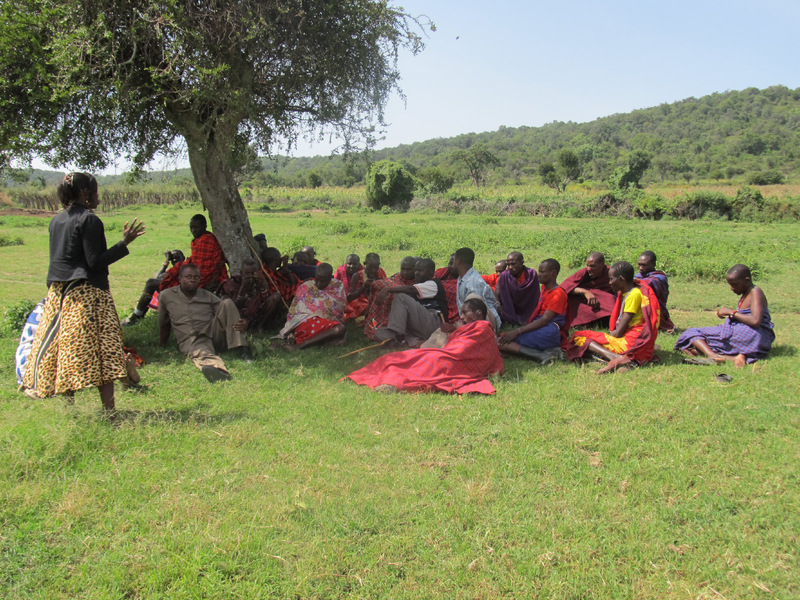 From the 27th of March until the 7th of April, women gathered in Magaiduru village, one of the nine villages in Loliondo Division that has recently been declared by the government as a wildlife corridor, essentially prohibiting any future use of the lands by the local communities. The women – some of whom walked more than a day and half to reach Magaiduru – gathered to protest this decision and to collectively demand that the land in Loliondo be returned to the communities. For many years PWC, the Ujamaa Community Resource Team (UCRT) and other civil society organizations in the area have worked to strengthen women’s rights and roles in their communities to help give them a voice in decision making processes and to promote equality. 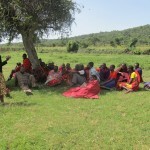 While there have been many men involved in protesting the Loliondo land dispute, women have stood out as leaders and champions in taking a stand against the government’s decision to allot 1,500 square kilometers of community land bordering the Serengeti as a wildlife corridor. The 2,000 women who gathered in Magaiduru have collected – and are continuing to do so – CCM membership cards in protest against the party that they feel is stealing their land and whom they no longer can trust. “We don’t belong to a party, our party is our land,” says Paraketo, one of the women protesters who has joined from Ololosokwan village, one of the villages on the disputed land.